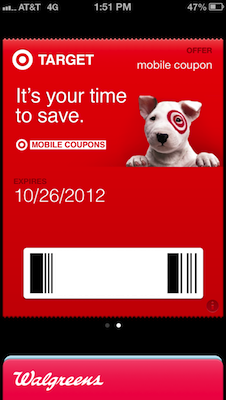 With colder weather on the way, this new Target mobile coupon is a great way to warm up! 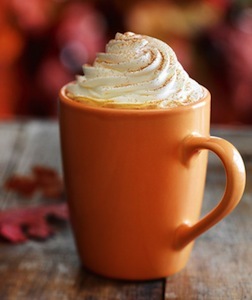 Buy one pumpkin spice beverage at a Target Starbucks location, and you’ll get another for free. Choose from a handcrafted frappuccino or latte. To get this coupon, simply sign up for Target mobile coupons. If you’re already signed up but didn’t get the latest coupons yet, text OFFERS to 827438. The coupon is valid through 10/26/12. If you have an iPhone, make sure you download the Target app. The new version of the Target app has support for Passbook, which allows you to access all of your coupons, loyalty cards, boarding passes, and more with just one touch. Check out the Target deals for this week and the current free/cheap deals!